One of the things former Secretary of State Madeleine Albright was known for were the subtle messages conveyed by her jewelry. Once during her term, a Baghdad paper called her a “serpent” for criticizing Saddam Hussein. To her next meeting in Iraq, she wore a serpent pin. Another time, after the Russians planted a bug in her conference room, she wore a bug pin to a meeting with them. She would later say, “In order to get through a lot of complicated issues, it helps to have a little bit of humor.” Amen to that! 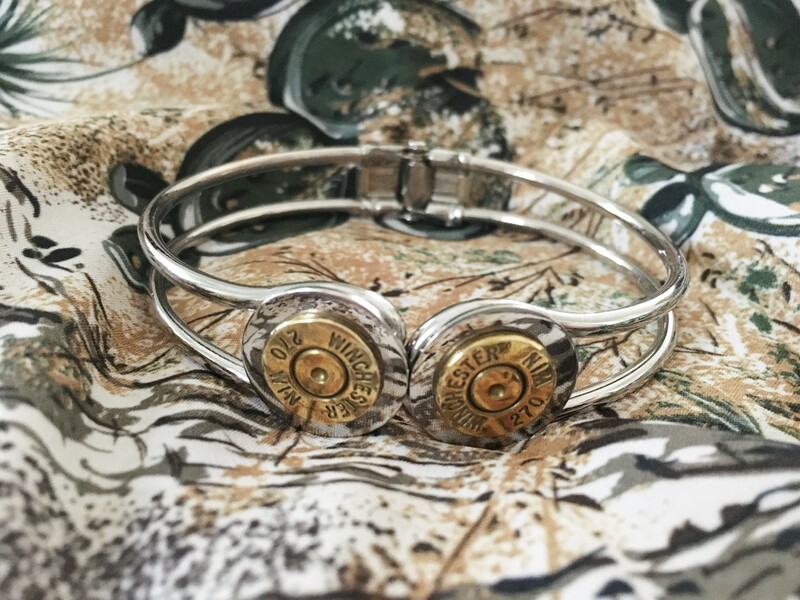 In that vein, what statement does a bracelet of rifle cartridges make? I’m not sure but at the very least, I know it’s a conversation starter. I love this bracelet in particular because it’s understated and can go with the stacked bracelet trend. 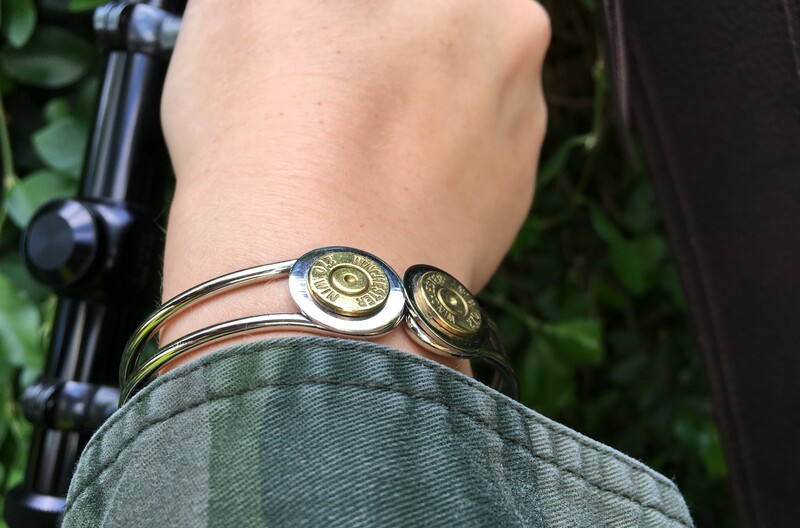 A friend gave this to me and it is from Bullet Jewelry By James. You can order one by emailing James at james@mindaproductions.com. Or, it’s for sale on Etsy. PS. Special thanks to my friend Leila for giving me this bracelet! You’re the best! 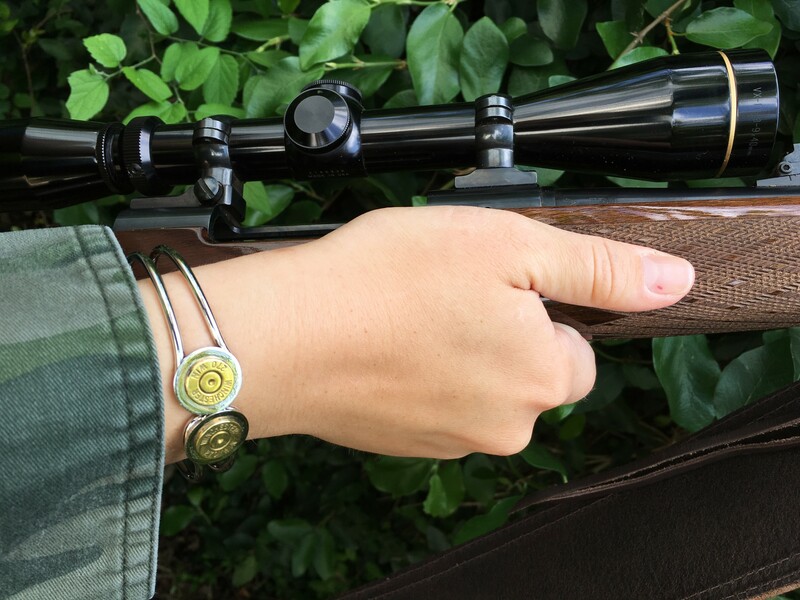 No Replies to "Field Fashion Friday: Bullet Bracelet"